CIRCUIT TRAINING - Pit stop! Circuit training indicates a training mode in which the exercises are arranged in a path you have to follow and you have to repeat, such as in a circuit, a certain number of times. 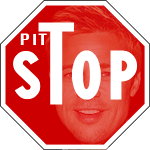 More than a real method (meaning by that: a body of rules, principles and criteria by which you do the exercise) is to indicate that exercises succeed one another, it is a manner of training, following the “generic” criterion of having several pit stops, with different exercises. The standard is 9/12 stations, whose exercises, overall, involve equally the entire body. It contemplates the use of tools, short breaks between one station and another, and a more prolonged pause at the end of the circuit, before repeating. Circuit training: where and why? 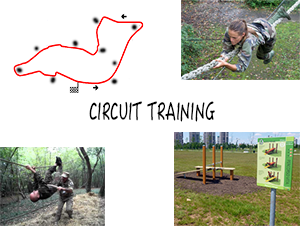 To train following a circuit is retrieved in many sports and in other “patent” methods (think about crossfit). There are different”sub-category” methods that specify the number of stations, recovery times and types of exercises. The only difference that I would highlight is between “continuously ” and ‘ “intermittently” loop. In the first you go from one exercise to another without rest, and recovers only when you finished the circuit, in the second, however, there’s time to recover at each station. The overall aim is to increase strength and endurance, and, as can be seen, depending on the exercises and timing may be more or less “fat burning” (cardio) or “muscularizing” (conditioning).